Reeling from the death of her mother at the hands of the evil witch and her former teacher Miss Mabel, Bianca Monroe moves to Chatham Castle to live with her father. It is supposed to be a place of safety, but no place is safe for Bianca– from outside threats or from herself. The pain of her mother’s death has ignited a magic in Bianca’s heart that not only threatens her own self, but those around her as well. And her seventeenth birthday– the day she is cursed to die– is coming soon. If Bianca is to have any chance of living past her birthday and defeating her former instructor, Bianca must learn of Miss Mabel’s ultimate goal and harness the roaring dragon in her heart. Let it be known that I absolutely loved Miss Mabel’s School for Girls, the first book in Katie Cross’ Network Series. It had wonderful characters, beautiful imagery, and much more. It whisked you to a place of mysterious magic that you can’t quite get over even after you finish the book. It enraptured me and made me an instant fan. The sequel to the novel, Antebellum Awakening, has the same qualities, but even better. Whatever issues one might have had with its predecessor are dealt with in this one. Didn’t like that there were no male characters (say for a few appearances towards the end of the novel)? Well, there is plenty of gender diversity in this one. Didn’t like the limited scope of Miss Mabel’s? 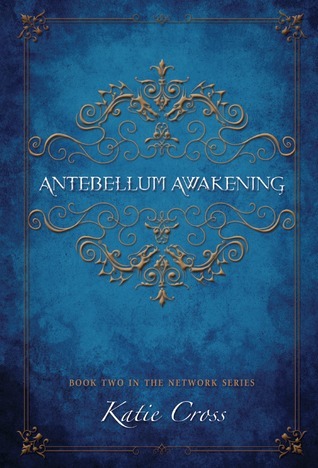 In Antebellum Awakening, Katie Cross expands and develops the world of Antebellum, making it even more of a wondrous place. There are dragons, vampires-that-are-definitely-not-vampires, castles, and much more. Katie Cross did something in Antebellum Awakening that I have not seen very many authors do in fantasy. Throughout the book, characters deal with multiple issues all the way from handling grief to letting go of tradition, also giving the reader their own revelations. This is all done, however, without pushing it in the reader’s face as many authors are wont to do in their stories. Katie Cross doesn’t do this. She intertwines the messages throughout the story and goes so far as to making them actual plot points. Antebellum Awakening is full of twists and turns and breathtaking action. If you think you know where the story was going after reading Miss Mabel’s School for Girls, you are in for a big surprise. There are plenty of gasp-worthy events in this book, and when you get to the end, you won’t want it to stop. The prequel novel to the Network Series, Mildred’s Resistance, will be released early summer, and the sequel to Antebellum Awakening, tentatively titled The Ambassador’s Assistant, will be out later on this year. EEEP! I LOVE THIS SO MUCH! I don’t think there is even a small chance that I won’t like them. And you most definitely have reason to think such a thing, because they totally are! It really is an awesome series!